Chef de Partie required to complete the team at this busy Country Hotel Lounge Bar and Award Winning Restaurant located close to Peterborough. The Head Chef is looking for a Chef de Partie to fill a key position in his kitchen, working closely with the Head Chef and Sous Chef. You will be running the Sauce section on a daily basis. The Hotel has a fine dining restaurant serving 20 – 40 covers so previous experience of Rosette standard cooking would be an advantage but is not essential if you have good cooking skills. As Chef de Partie you will be working as part of a team, part of your duties will involve completing a variety of daily tasks ensuring that your section is organised ready for service. There is no live in available for this position but would suit anyone living in the Peterborough, Stamford, Oakham, Uppingham, Oundle or Corby area with their own transport. 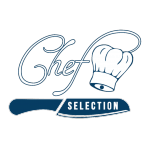 If you are looking for a fresh challenge as a Chef de Partie then please contact Steve Coggins quoting Reference number CS4306.